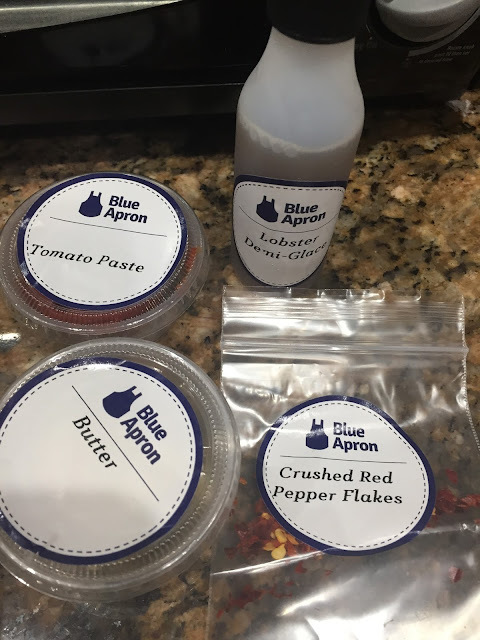 I recently had the chance to try out Blue Apron, a meal delivery service that ships all of the ingredients you need along with recipes to prepare delicious gourmet meals. Blue Apron delivers the perfectly portioned ingredients you need to cook delicious, chef-inspired and seasonal recipes at home. No trips to the grocery store and no waste from unused ingredients. week. Each delivery will consist of two meals to be served family-style. Blue Apron is available nationwide - they ship to over 80% of the country. Each menu is between 500 and 700 calories per person. The ingredients are incredibly fresh and sourced from small family farms and artisans. All meals can be prepared in 35 minutes or less. The sign up process was very quick and easy - I signed up online and chose a delivery day, number of meals, and entered any dietary restrictions or preferences. I opted for a Friday delivery and went with their standard menu for three days, including meals with a mix of meat, seafood, and veggies. I ended up trying the stuffed poblano peppers, Vietnamese chicken wings with lemongrass rice, and squid ink linguine with shrimp and lobster demi. The food arrived mid day Friday, packed in plenty of ice so it would've been fine if I hadn't been home for several hours. Each component was labeled so that it was clear which entree it was for, and the recipes came on individual cards with detailed instructions and pictures. I really enjoyed all of the meals, and they were very easy to make. There was definitely some prep work involved (chopping veggies, cooking components in multiple steps, etc.) but the instructions were extremely thorough and it was almost impossible to mess up. I think my favorite meal ended up being the squid ink pasta, although the peppers and the wings were also very good. 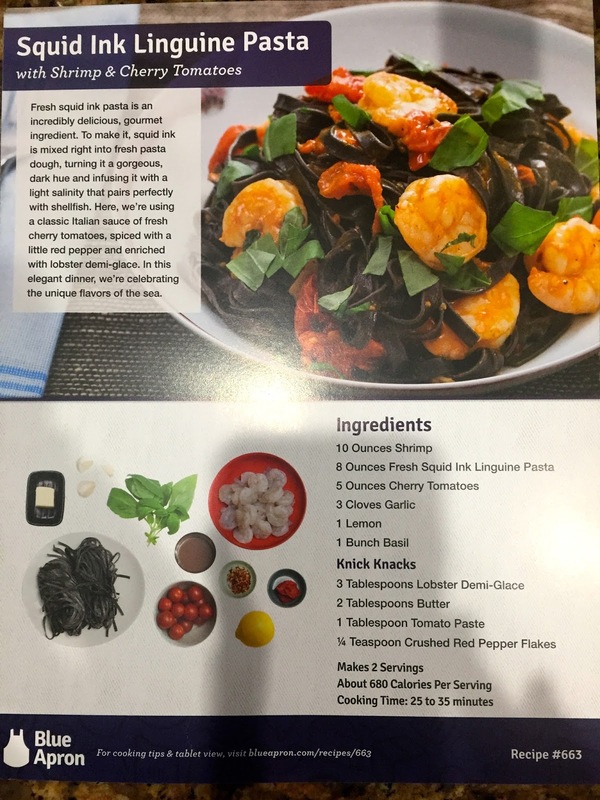 My favorite thing about Blue Apron was the opportunity to try something new; I never would have attempted these dishes on my own because they may sound complex or intimidating. That was not the case at all. Now for the best part - I have an chance for you to try Blue Apron! 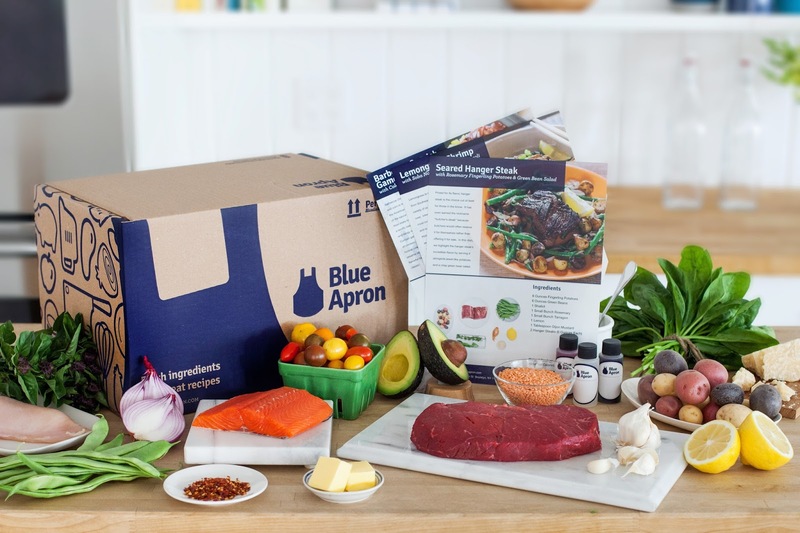 My first 50 readers get two free meals with their first Blue Apron Box - redeem them here before they run out!